Proton Accelerator Facility opened in 2012 in Sarayköy Nuclear Research and Training Center with support of Ministry of Development and Turkish Atomic Energy Authority. This project includes arranging Research and Develop Room, one of four room in the center laboratory , to perform radiation test for nuclear, space, health and defens industry in while using infrastructure of the facility. In this lab, nuclear radiation detectors, solar cell imaging tools, custom made radiation test electronic components, detectors, which will be sent to space, will be tested. This project will be the first acquisition of CERN Associate Membership Agreement which was signed on May 12, 2014 with participation of Minister of Energy and Natural Resources Taner YILDIZ and was published in Offical Gazette No. 6587 at February 3, 2015. This will be the first technological infrastructure support by CERN. This project has started at August 31st 2015 with the support of the ministry of development. Conceptional Design of METU-DBL Projects, that will be constructed in TAEK SANAEM PHT R&D Room, was completed and technical design is still being in progress. Proper beam will be obtained according to the ESA ESCC NO. 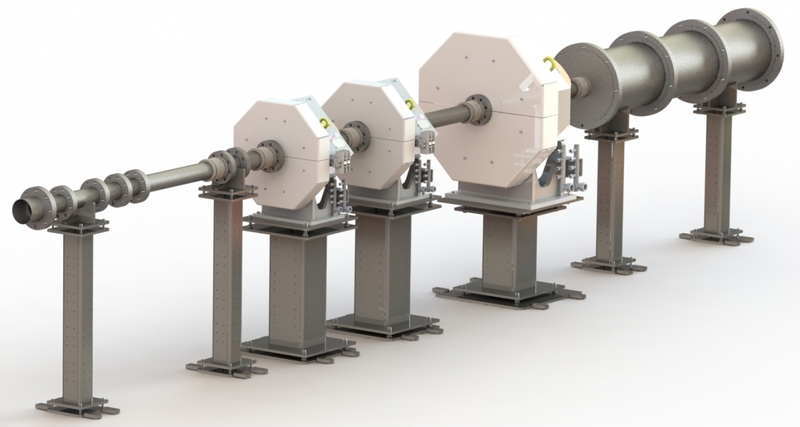 25100 Single-Event Effect Test Method and Guide Standart in the target area with 3 quadropole magnet, thin scattering films and collimators. SEE Radiation test can be done in our country for the first time with this proper proton beam that will be obtained at the target. Solar panels, lithium ion batteries and control cards, multi layer isolation blankets, that will be produced and developed in our countries for İMECE sattelite project, will be tested in METU-DBL. In this project 3 Ph.D Student, 2 Master Student, 4 engineer, 2 technician and 1 administrative personnel is working. Pre-test construction that is very important stage for project studies will be held on January 2017 and with in this test with non-proper beam line, it is aimed to provide experience to METU-DBL group and also first prototypes of solar panels, lithium ion batteries that is developed can be tested. Also in pre-test some components that developed by TUBITAK BILGEM UEKAE YITAL can be tested. 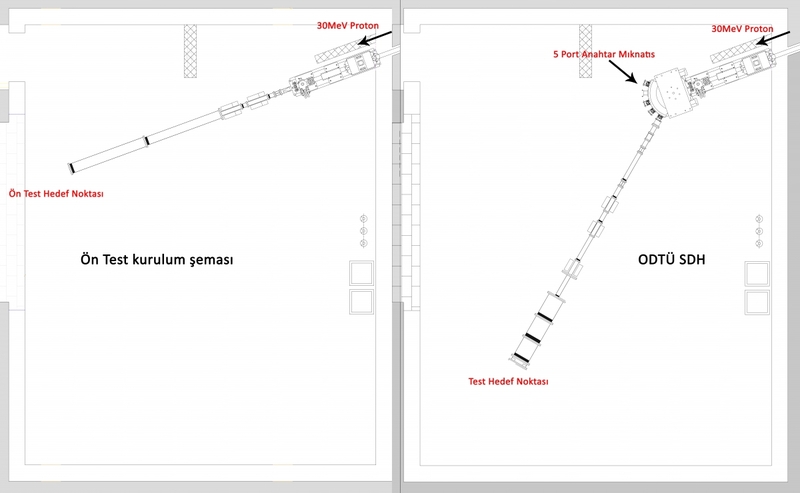 Constructed beam line will removed after tests performed about 2 months in Pre-test construction and METU-DBL that can give proper beam according to standart will be constructed after 5-Ports External Switching Magnet be installed to the TAEK PHT R&D Room. In August 2017, radiation test of solar panels, lithium ion batteries and control card, multi-layer blankets will be started with this proper beam.